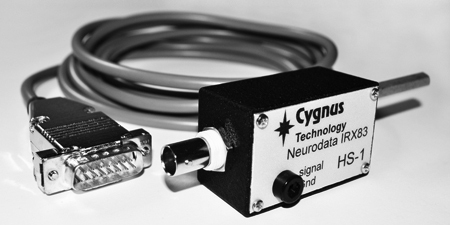 Cygnus Technology offers two versions of the NeuroData current clamp amplifier, a single and a two channel version. 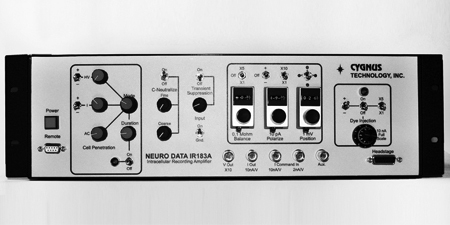 The electronics are identical except that the dye injection feature is shared on the two channel model and the IR-283 includes cross decoupling circuitry between the two channels to help eliminate artifacts caused by common ground impedances and capacitive coupling in double barrel electrodes. 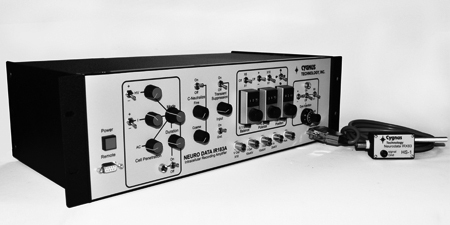 Both models feature a three way cell penetration system consisting of an AC induced oscillation mode, a constant current pulse , and a high voltage pulse mode. Control is provided for intensity, duration, and polarity (except AC). 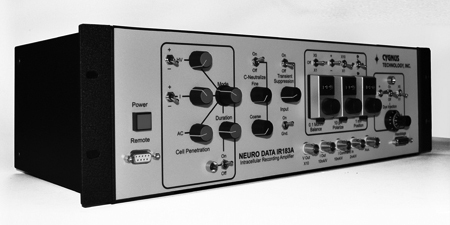 The instruments are supplied with both a hand held and a foot operated switch for activation. 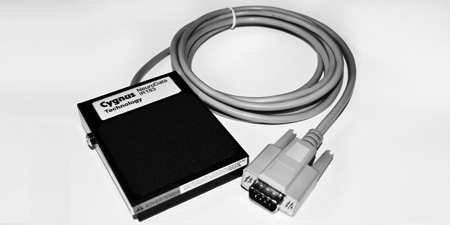 The headstage incorporates a break out relay which grounds the input remotely or when power is off to prevent damage and to allow direct access to the electrode from an auxiliary input.